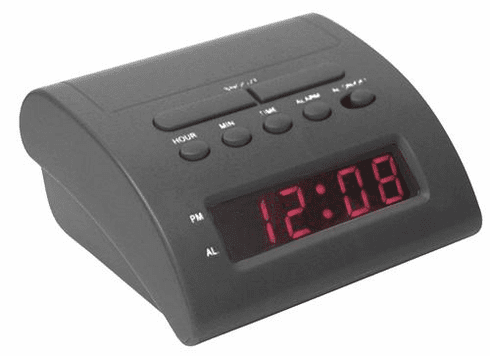 This alarm clock is a standard on many night tables across America. The 6" red LED display is easy to read both at night and during the day, even from across the room. Don't want to get up right away? No problem, the large snooze button is conveniently located for a few more minutes in bed until the alarm sounds again. And if there's a power shortage during the night, don't worry. It even has a battery backup! It features a PM and alarm indicator, and alarm switch.